Living for the Well Done! 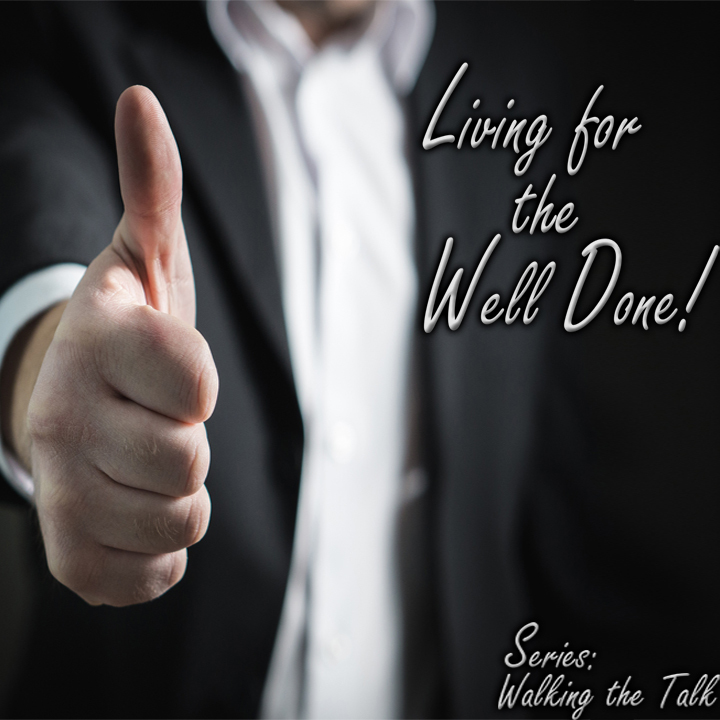 Message – Living for the ‘Well Done’! Living for the ‘Well Done’! Be prepared for His return. The Nobleman was “set apart” to become king over a kingdom, He left for a time for the express purpose of being crowned with authority to take up that position and rule. The 10 slaves represent those who were His servants and therefore part of His house – THIS IS VERY IMPORTANT FOR ACCURATE INTERPRETATION !!! His investment in them was sizeable. A Mina was about 1/3rd of a years income for a the average man. 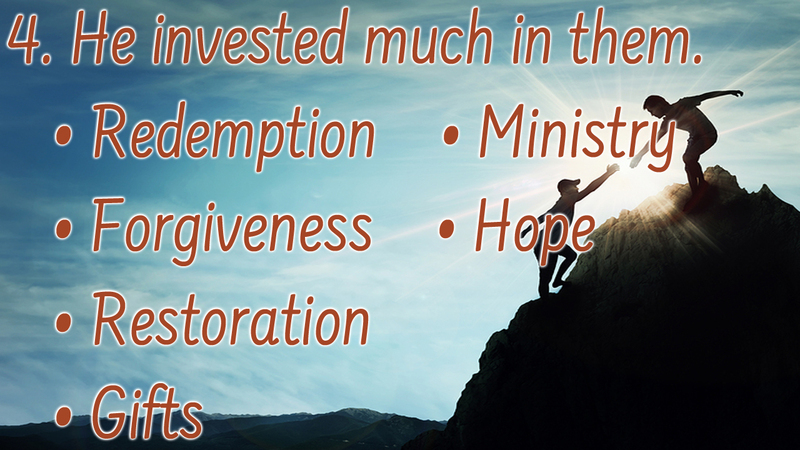 What did Jesus invest in us? Not to mention His own nature. 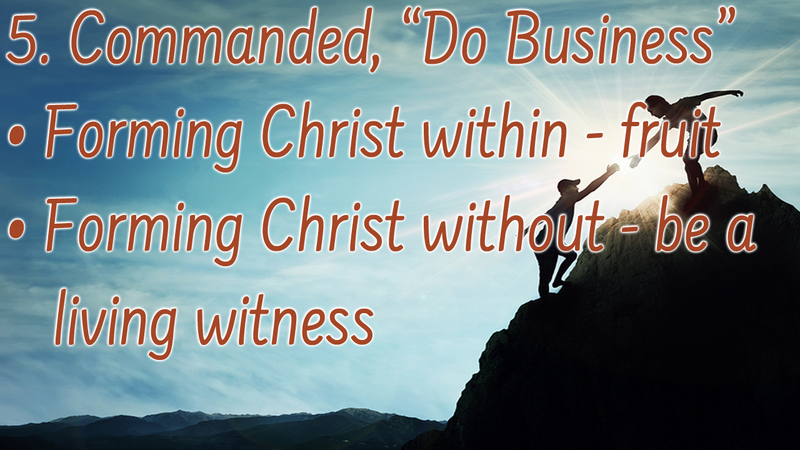 His command was to “engage in business until I return” > This has served as our Key and central verse! We discovered that “Business” meant to be busy and occupied producing GAIN for the kingdom from the investment He made in us. We referenced Matt. 25, where Jesus spoke of the 10 virgins & the talents BOTH parables beginning with the words “Then the kingdom of been will be likened to…”. Then He immediately spoke of what it will be like when He returns and “…separates the sheep from the goats”. ALL the difference between these two groups was found in what they DID and DIDN’T DO! We referenced Jesus in His youth in Luke 2:41-50, Who was “… about His Father’s business.” by studying & sharing the Word. We referenced the kind of life we should live towards the world [Matt. 5:15-20 – Salt & Light. NOTE:Salt is naturally stable, but if it is not stored properly it will be exposed to elements which will erode its saltiness – especially water. Salt is VERY soluble and readily absorbs moisture which has a diluting effect on it’s flavor. Therefore the Christian children’s song written in 1956 O Be Careful, Little Eyes. It goes…“Oh, Be careful little eyes what you see, For there’s a Father up above And He’s looking down in love so be careful little eyes what you see”, The verses appropriately go on to address the ears, hands, feet & mouth – in each admonishing them to be mindful and respectful of the all Loving Father Who is watching]. In regard to the world we are also to reveal Christ in our love for each other, in the testimony of our lifestyle, in what we say (Being ready with an answer), being gentle and respectful towards them & NEVER retaliating OR DEFENDING ourselves but only blessing. Now as I said last week, this parable has meanings on MANY levels and while still applicable today (as is ALL of Christ’s teachings) some of the intended audience has changed from the original. 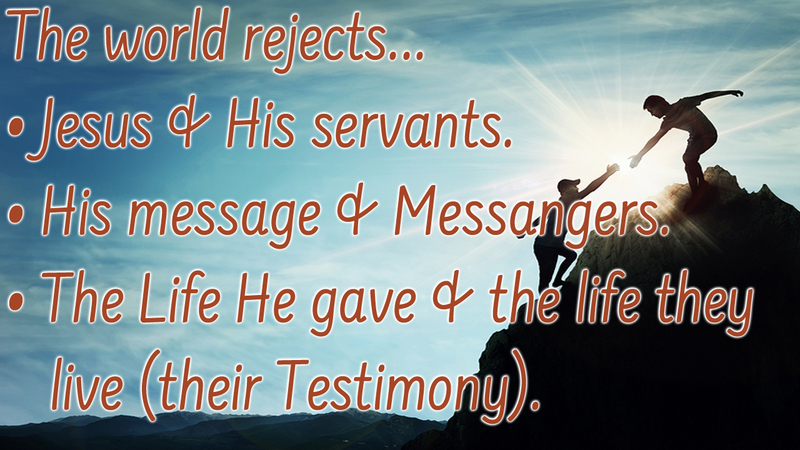 When Jesus taught this, He was clearly pointing to the Jews who largely rejected Him as their king. It was as if they were telling God – Do not appoint Him as our Lord for we do not approve of Him. But today this has reference to both the lost IN and OUT of the church. In both cases people often claim a superficial appreciation of Jesus – but they deny His RIGHT to rule their lives, and according to scripture – ALL who deny His Lordship are Lost! Now, believe it or not, this statement actually has more to do with the Nobleman’s command to “do business until I return” than it has to do with the rebellion of the subjects. >You see, their delegation was a rejection both of the Nobleman AND those doing business on His behalf. >They rejected the message they brought, the life they lived and the kingdom in which they served. >Which on the flip-side, means they were NOT rejecting the one “servant” who did NOT do business until He returned. That servant blended in with them so well, as to be indiscernible from them. – More on that in a little while. (15) “At His return, having received the authority to be king, he summoned those slaves he had given the money to so he could find out how much they had made in business. (16) The first came forward and said, ‘Master, your mina has earned 10 more minas.’ (17) “‘Well done, good slave!’ he told him. ‘Because you have been faithful in a very small matter, have authority over 10 towns.’ (18) “The second came and said, ‘Master, your mina has made five minas.’ (19) “So he said to him, ‘You will be over five towns. 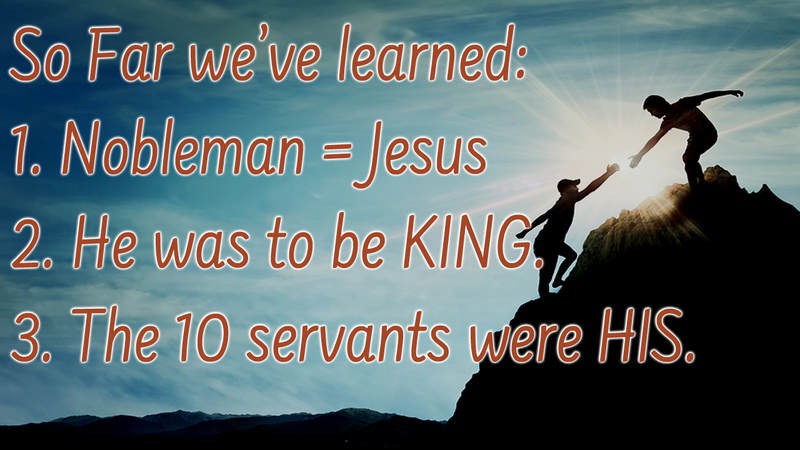 As we read last week in Hebrews 1 – Jesus left earth to be glorified by His Father and receive the Kingdom. Upon His return He FIRST deals with his 10 servants which are broken down into three categories by only mentioning three of them. To the second He only honored with authority. Notice that regardless of the amount or effectiveness of the work done by His servants – they were honored by ruling WITH HIM.